Hail storms are a nightmare for car owners. Dents left by hail storms are often very tricky to repair. Fortunately, Southern Auto Body can repair any dents and marks created by hail storms. We deal in hail damage repair for all types of cars. Bring your hail-battered vehicle into our shop, and all signs of hail will be eradicated. Southern Auto Body has the right expertise in corrective repairs and can erase all evidence related to hail damage. 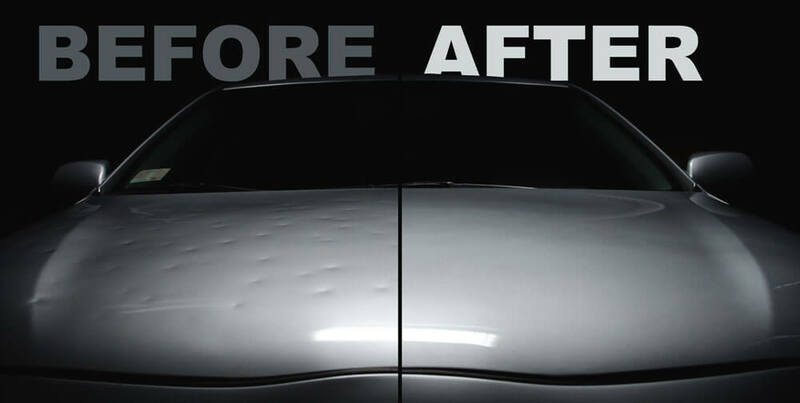 If your vehicle needs hail scratch repair, bring it to our shop for a free auto body repair quote. Our specialists will get your vehicle back in shape as soon as possible. With over 50 years of repair experience, we specialize in dent repair and vehicle body repair. Q. My car was damaged by the hailstorm, what is the first thing I should do? The first thing you should do is contact your insurance policy to make sure that hail damage repair is covered. Q. Do I need to gather multiple hail damage repair estimates? We offer complete repair work for hail damage. This includes the windshield and windows too, so you don’t have to go anywhere else. Does Southern Auto Body warranty their work? Yes, we offer a 100% guarantee that your dents will be removed.